The Ito is Black silk over Black Rayskin. Tsuka is double pinned with bamboo mekugi, silk Ito wrapped with hishigami paper. Matte Black Saya with Black Rattan wrap and Brass end cap ,3 pc bullhorn, silk Sageo. 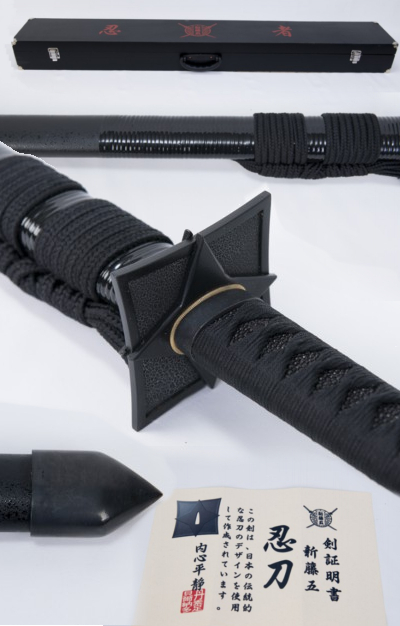 Comes with Black cotton sword bag, Black wooden box with kanji for Ninja in Red, cleaning kit, certificate, Black sword stand.